Renuzit Air Freshener Is Easy To Use And Offers An Affordable Way To Deliver A Refreshing New Scent. After The Rain Scent Provides Hints Of Rain-Touched Flowers And Sparkling Citrus To Neutralize Even The Strongest Odors. 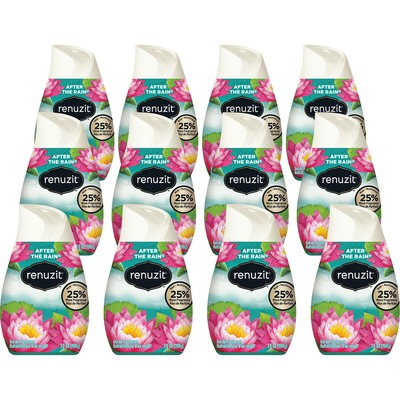 Long-Lasting Air Freshener Lasts Up To 30 Days..
Renuzit Air Freshener Is Easy To Use And Offers An Affordable Way To Deliver A Refreshing New Scent. After The Rain Scent Provides Hints Of Rain-Touched Flowers And Sparkling Citrus To Neutralize Even The Strongest Odors. Long-Lasting Air Freshener Lasts Up To 30 Days.